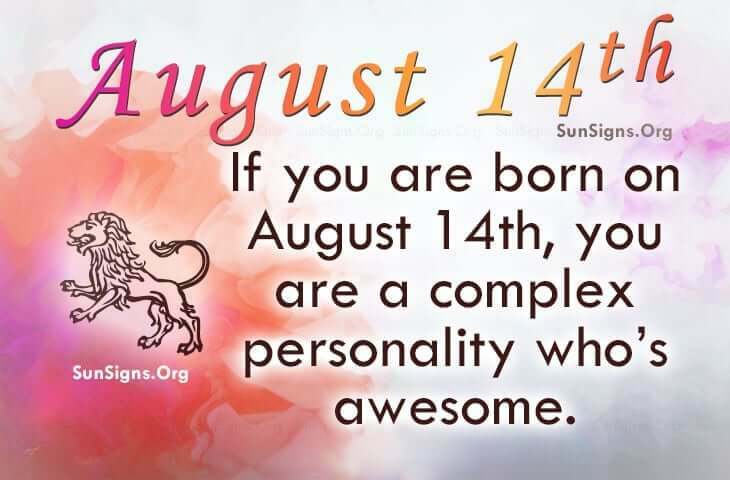 Famous people born on AUGUST 14 are not that easy to get to know. They’re awesome and typically don’t need anyone but with a group of like-minded individuals, they can go many places. . . places they thought they’d never go. Everyone needs to dream and they are expressly ready to achieve theirs. They are loyal to those that butter their bread. There are times however when this famous August 14 Lion can be impossible to get along with. This could be because they are always giving advice when no one has asked them too. Maybe they need someone to keep them grounded. Having someone to share their life with would provide them with many smiles and happy days. They look for a mate who is intelligent and good looking. Please be considerate of this August 14 Leo’s needs and remember, just because he or she is nice, they should not be underestimated. Famous people born on AUGUST 14th could be complex personalities who are also emotional. They dislike tedious tasks but will likely be a good leader. At the same time, you don’t want to upset this Leo as you may not like the outcome. However, they should take care of their reputation.